ToxPathNet : Blogs : ToxPath Newsgroup is Available on ToxPathNet — Subscribe Today! ToxPath Newsgroup is Available on ToxPathNet — Subscribe Today! Subscribe Today and Stay Connected! Do you ever have an idea or concern that you would like to put forward for discussion among your colleagues? Or maybe you have an interesting or challenging case that you wish you could share with other pathologists? 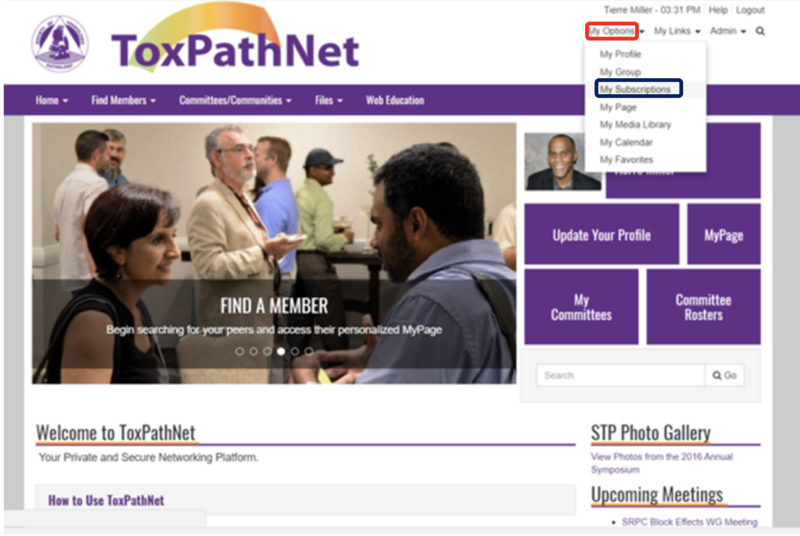 The STP Internet Committee had created a ToxPath Newsgroup (electronic mailing list) for STP members that will offer an easy way to rapidly exchange ideas and consult with your peers in a safe and informal environment using e-mail. Any STP member joining the newsgroup will be able to participate in threaded discussions with fellow members by posting questions, comments and/or photos, replying to other’s posts, or simply following along with a discussion via individual e-mails or a daily or weekly digest form. Select “My Subscriptions" from the dropdown menu. 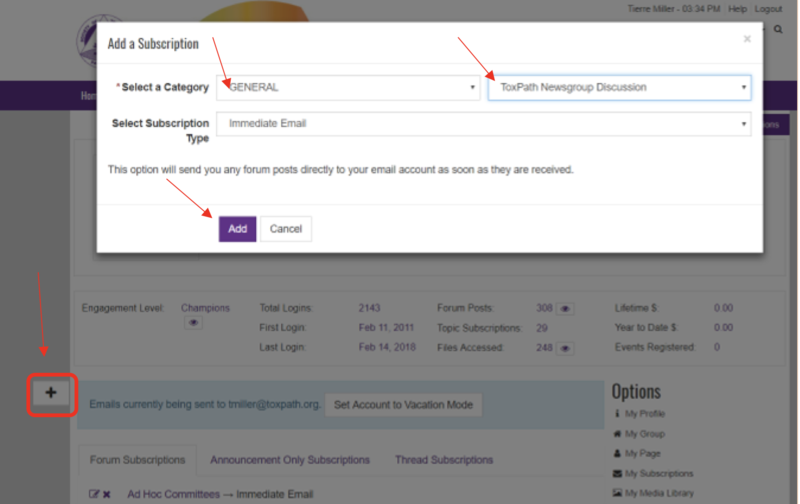 Lastly, select TOXPATH NEWSGROUP Discussion before selecting the ADD button. Sam Cohen is looking for a good image of a mouse urinary bladder mesenchymal lesion to present at the NTP Satellite Symposium in Brazil this April. If you have any questions or comments please contact STP Headquarters. Congratulations to the newly elected STP officers, who will begin terms on the Executive Committee in late June.